I always believed that if you shared your goals, you’re more likely to achieve them, but whilst trying to find science to back up my thoughts I found several articles stating the opposite – sharing you’re goals makes you less likely to achieve them. Well, time to test my hypothesis then! I’ve done a lot of testing of APIs as part of software development roles I’ve undertaken, but I can’t say how deeply I thought about the topic. I learned enough to be effective in my role! This exercise provides the perfect opportunity to do that deep thinking! API testing is exploring the behaviour of Application Programmable Interfaces which send & receive messages with the endpoints of other components such as in the UI or DB layers. 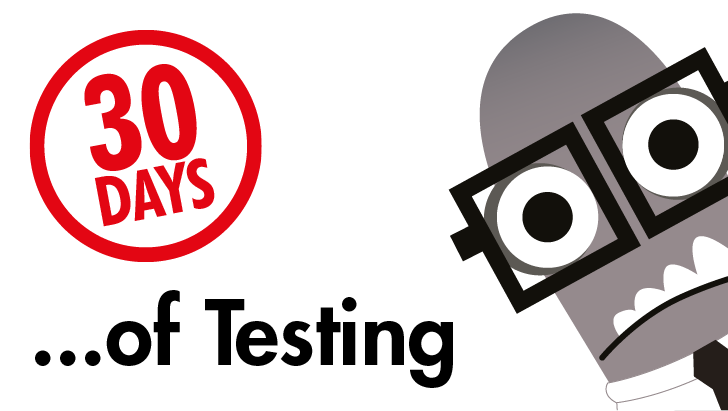 API testing checks that expectations are met & unexpected behaviour is uncovered. API Testing is not only functional – it is possible to perform security, load & error handling tests through the API. 2. How would you approach API exploratory testing? Map out the endpoints & associated params of the API under test. Map out the endpoints & associated params of APIs that communicate with the API under test. Experiment with different variations of params to see the API behaviour. Identify example messages from typical user journeys to derive variations of those journeys (e.g in/valid tokens). Replay troublesome user journeys from production through the API to reproduce undesired behaviour. Identify data being passed through the API & use the STRIDE threat model to discover vulnerabilities of that data. Compare the API with it’s documentation to identify discrepancies. Force the API to fallover – how is the error handled? What is the impact to the customer? Daniel Donbavand’s SPEEDLOADS mnemonic & Linda Roy’s VADER mnemonic – these would serve as great starting checklist from which I could launch deeper explorations. Aside from Heather’s recommendation, I’m also reading through Mulesoft’s “Undisturbed REST“. 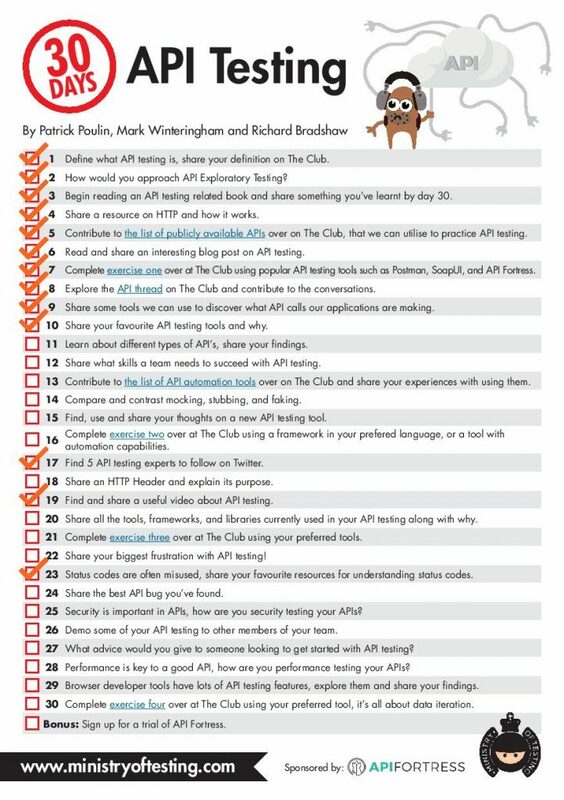 I chose this book so I can help with & add value to API design conversations – this is part of my strategy for testing upstream. I’ve been through a demo of Tricentis Tosca. Has to be Postman for me – its the tool I’m most familiar with as it is the tool of choice for those programmers I have worked with. 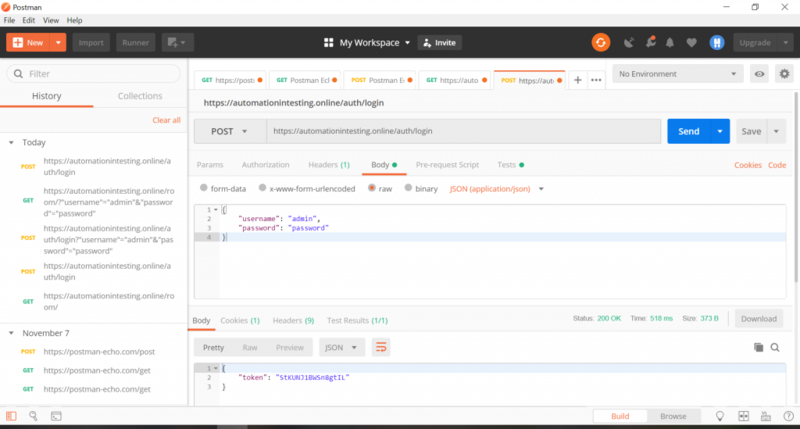 Using the same tool helps with collaboration & sharing assets – a programmer can navigate around my instance of postman as well as they can on their instance. I do also use Fiddler for real time monitoring of traffic between browser & server. I’m interested in how I can take the next steps with Postman & get smarter with Newman. This video takes you through to running collections with Newman in Jenkins – a mission i’m looking to accomplish! I found this post with status codes as pictures helpful as well. Finally the HTTP Status Map is a useful interactive resource.